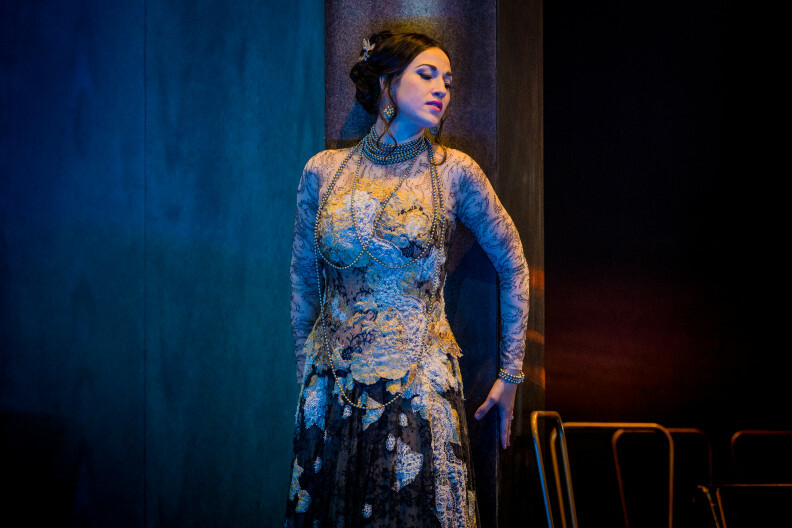 Verdi’s La traviata is one of the most popular operas of all time, a work that grabbed hold of audiences at its premiere in 1853 and has yet to let go. Its beautiful melodies and powerful plot still turn up everywhere – the inspiration for films, fashion and books, the soundtrack to adverts and smuggled as a sample into pop tracks. The story of Verdi’s tragic romance may have been borrowed from a novel – Alexandre Dumas fil’s La dame aux camellias – but the opera has, in its turn, inspired more than its fair share of films. La traviata is, of course, most famously, the opera that Richard Gere takes Julia Roberts (in that dress) to see in Pretty Woman. But Verdi’s opera also provides a model and parallel to the film’s plot. Parisian courtesan Violetta becomes Los Angeles prostitute Vivian, while her innocent and adoring love-interest Alfredo morphs into Richard Gere’s older (and altogether less innocent) Edward Lewis. Another film that owes a significant debt to La traviata is Moulin Rouge. 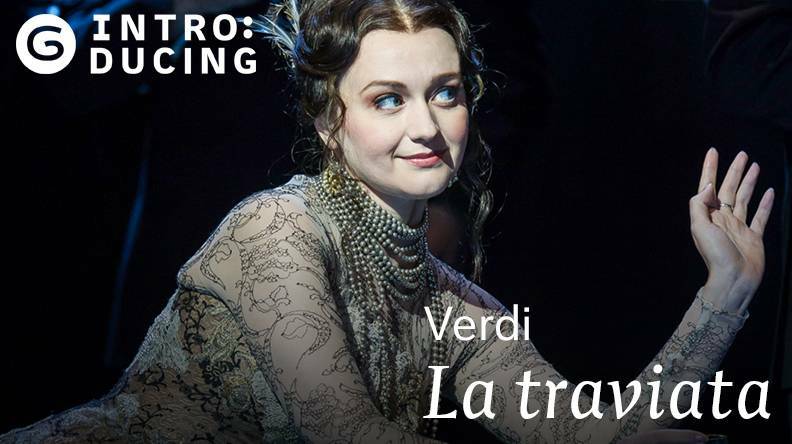 Baz Luhrmann’s all-singing, all-dancing tale of a Paris showgirl and her doomed love affair with a penniless young English writer finds more than an echo in Verdi’s opera. Although Luhrmann himself has claimed the myth of Orpheus and Euridice as the film’s inspiration, the parallels between Violetta and Satine – both courtesans, both suffering from consumption, both forced to drive their lovers away with lies – are clear. Verdi’s lush string textures and soaring melodies aren’t an obvious fit for hard-hitting dance music, but Canadian electro duo Crystal Castles borrowed the composer’s shimmering opening music for the Act I Prelude of La traviata for their 2012 track Insulin. The effect of the sample – heard at the very start of the track – is a delicate haze before the neon lights of the song burst through. In the opera itself the impact is almost identical – a moment of contemplative delicacy before the raucous energy of the party scene that follows. Verdi was the ultimate musical salesman. No one works a scene or an emotion harder than him, so it’s no wonder that brands looking to promote their products have often turned to opera’s master-composer to provide their soundtrack. When Heineken wanted to create a scene packed with drama and tension (capturing that charged moment when you try and make your way successfully through a packed pub with several precarious pints of beer) what else could they use but ‘Libiamo’, the famous drinking song Alfredo sings in Act I of La traviata ? If it’s not beer brands stealing from the opera it’s car manufacturers. ‘Sempre libera’, Violetta’s great Act I celebration of freedom and independence, provides the Nissan Qashqai with a suitably effervescent accompaniment for its urban adventures. Verdi packs bags of personality and spirit into this glorious soprano showpiece, all of which is borrowed by Nissan here. The love affair between fashion and opera is a passionate one. Everyone from Prada to Viktor & Rolf has designed for the opera stage, revelling in the drama, the glamour and the excess of the genre. La traviata’s most fashionable moment came in 2016 when Sofia Coppola was invited to create a brand new production for Rome’s Teatro dell’Opera with costumes designed by none other than Valentino. Making a spectacular entrance to the Act I party scene in a hand-sewn black dress with a 10ft turquoise tulle train, Violetta and her costumes only got more dazzling as the evening progressed. There was a fantasy of a negligee for the final scene – all blush-pink tulle, net and silk – but the centrepiece was a drop-shouldered ballgown for Act II – in a deep, signature Valentino red. 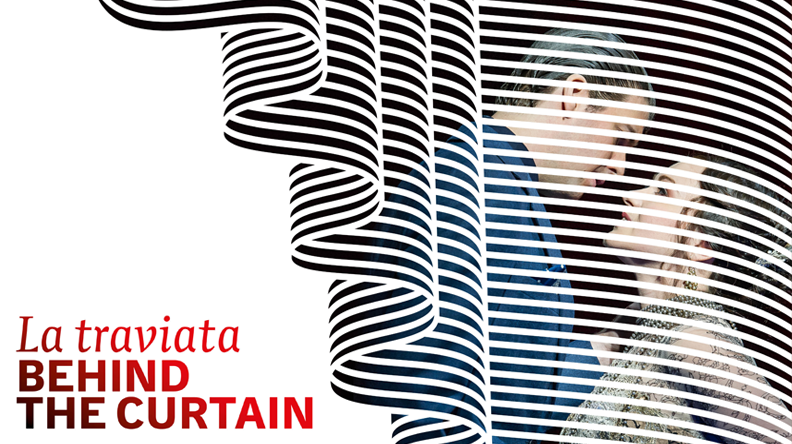 If La traviata is the ultimate romantic opera, this was the ultimate romantic fantasy of a production. In many ways La traviata’s first pop culture moment was its premiere. Verdi himself described the opera as ‘a subject for our own age’. It was the only one of the composer’s operas originally set not in a historical period (though censors later forced Verdi to change this) but in his own contemporary world – a musical mirror held up to the age, and one that reflected an image not everybody was prepared to see. Provocative, risky and unapologetically bold, La traviata was interested not in society’s glossy surfaces but its guilty secrets. Violetta, Verdi’s heroine, is a courtesan – a member of Paris’s “demi-monde” – the dark, dubious fringes of polite society. Hardly the sort of heroine 19th-century audiences were comfortable seeing on a public stage, whatever they might feel in the privacy of the boudoir. In a further twist, Verdi himself had been living, unmarried, with soprano Giuseppina Strepponi since 1847. The couple would eventually marry, but their unconventional relationship saw Strepponi ostracised. 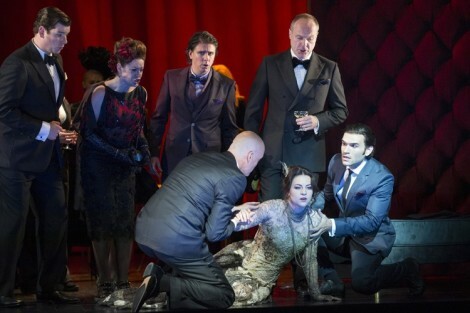 La traviata makes art out of the composer’s own life, and is all the more powerful for it.